The Training Day TV show is gaining speed as it continues to cast actors to fill its roster of good and bad cops. The film-to-television adaptation for CBS has added yet another actor to the pilot ordered by the network. A report from Deadline says that actress Katrina Law (The CW’s Arrow) has signed up for a part in the police drama. 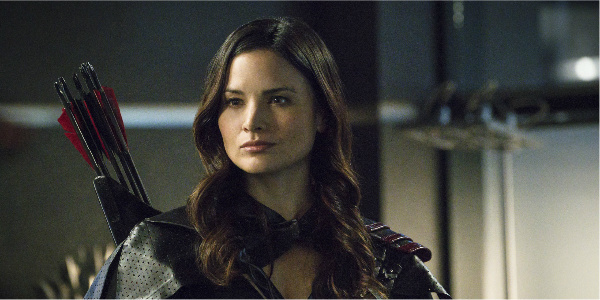 Law recurs as the badass daughter of a famed, almost immortal assassin, Nyssa al Ghul on Arrow. After years of jockeying for the power to take over her father’s shadow organization, The League of Assassins, Nyssa has recently fought her way to the top of the assassin food chain. Katrina Law got her first credit in 2000, and has gone on to rack up appearances in a host of television shows, mini-series and TV movies. She’s shown up on Third Watch, Reba, The Rookie: CTU, Chuck, CSI:Miami and Spartacus: War of the Damned. Her most recognizable role so far, though, has been on Arrow. Training Day will, of course, be based on the 2001 film of the same name, which starred Ethan Hawke and Denzel Washington. In the crime thriller, Hawke is a young LAPD officer who’s been sent to ride around and be evaluated by a highly decorated LAPD narcotics cop (Washington). The film takes place over a 24-hour period as the officers deal with crime in the gang-ridden area of South Central Los Angeles. The movie was a critical and box office success, grossing over $104 million internationally, and netted an Academy Award nomination for Hawke and a Best Actor Oscar for Washington. The television show will be a modern day continuation of the story set 15 years after the events of the film. This new series will center around a young, idealistic African American rookie, Kyle Craig, who nabs a job with an elite squad of the department, the Special Investigation Section (S.I.S. ), where he’s partnered with experienced, but morally ambiguous detective Frank Rourke. As the show continues, Kyle will be tasked with infiltrating Rourke’s unit to put a stop to his illegal activities. Katrina Law has signed up to play another detective in the S.I.S., Rebecca Lee. Her character was saved from a human trafficking ring as a small child by Frank, and considers him a father figure. She will join Drew van Acker (Pretty Little Liars) as LAPD officer Tommy Campbell, and Bill Paxton (Big Love and Agents of S.H.I.E.L.D.) as Frank Rourke. Considering Katrina Law’s current track record of playing tough ladies, she seems like a good choice for a hard-nosed LAPD detective assigned to a special unit. Here’s hoping that pilot leads to an actual Training Day show, so we can all see her at work in the role.